Polugar No. 4 Honey & Allspice is a popular Whisky available from TheDrinkShop in 50cl to buy online. 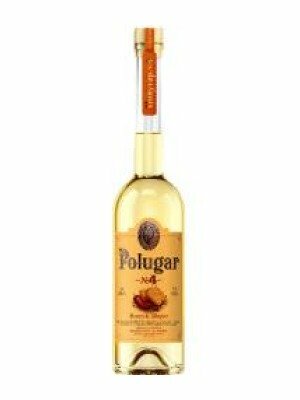 Visit TheDrinkShop for the best price for 50cl of Polugar No. 4 Honey & Allspice or compare prices on our other Whisky products. Spicy and refined with a pleasant hotness, with honey, syrup, pepper and rye all evident. This truly historic spirit is based on recipes rediscovered by Boris Rodionov, using the natural essential oils of the flavourings. Polugar is the historic vodka from the Russian Empire, enjoyed throughout Russia by the aristocracy and peasants alike as the national spirit until 1895 when, following a decree of Czar Alexander III, all the pot stills were broken up. All production was converted to what we know today as vodka, distilled in government licensed and taxed column stills. The art of Polugar distillation has returned, thanks to the research and passion of Boris Rodionov, a noted Russian vodka historian and scientist who has reproduced an 18th century recipe at the authentic strength of 38.5%. As the ban remains in place in Russia, it is now crafted in a micro-distillery in Poland, within the 19th century borders of the Russian Empire. Where to buy Polugar No. 4 Honey & Allspice ? Polugar No. 4 Honey & Allspice Supermarkets & Stockists. You can buy Polugar No. 4 Honey & Allspice online in most retailers and find it in the Whisky aisle in supermarkets but we found the best deals online for Polugar No. 4 Honey & Allspice in TheDrinkShop, and others. Compare the current price of Polugar No. 4 Honey & Allspice in 50cl size in the table of offers below. Simply click on the button to order Polugar No. 4 Honey & Allspice online now.